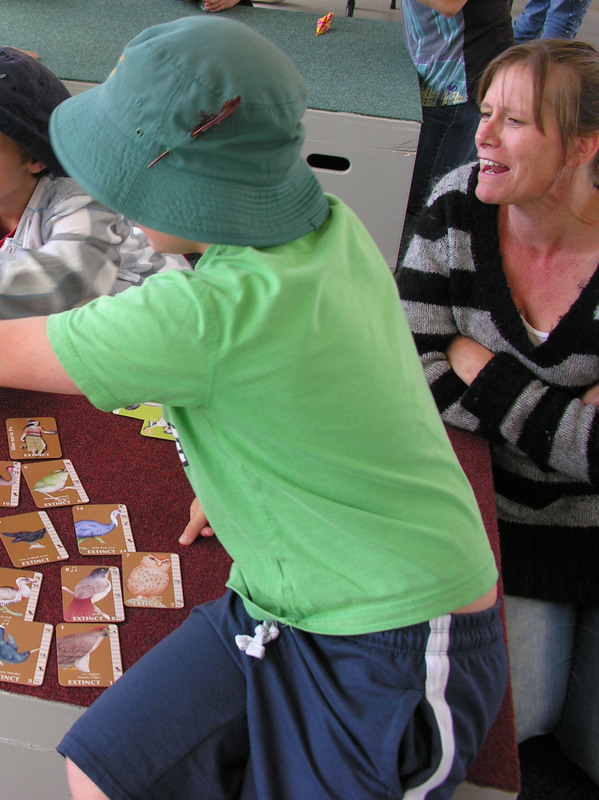 Often I write about the game as it is played by children & families. But I also have regular players who are adults. And they play some interesting variations. Here are three that fit within the rules. 1) No-one ever builds a cloak as they are collecting cards. They just lay the cards randomly in lines in front of them. Then they wait ‘til the last moment to show their cloak. In this way, while the cards are showing, the actual cloak remains hidden. 2)	All the cards are held in the hand, which must be quite a fistful(!) but is quite possible. Keeping the cards hidden makes trading much more edgy, as you never know how much you are helping the other person. 3)	8 players. 2 packs. Players proved much readier to sacrifice their gods, rather than their birds, so the game moved quickly, remaining interesting & dynamic. Do you have any interesting variations in the game? If you do, plse post & let us know.